Show your patriotism with this American Flag Balloon Arch! Perfect for concerts, bar b ques or cookouts. This is an example of a standard spiral arch. It should be noted that this arch is on a frame which makes it suitable for outdoor events. 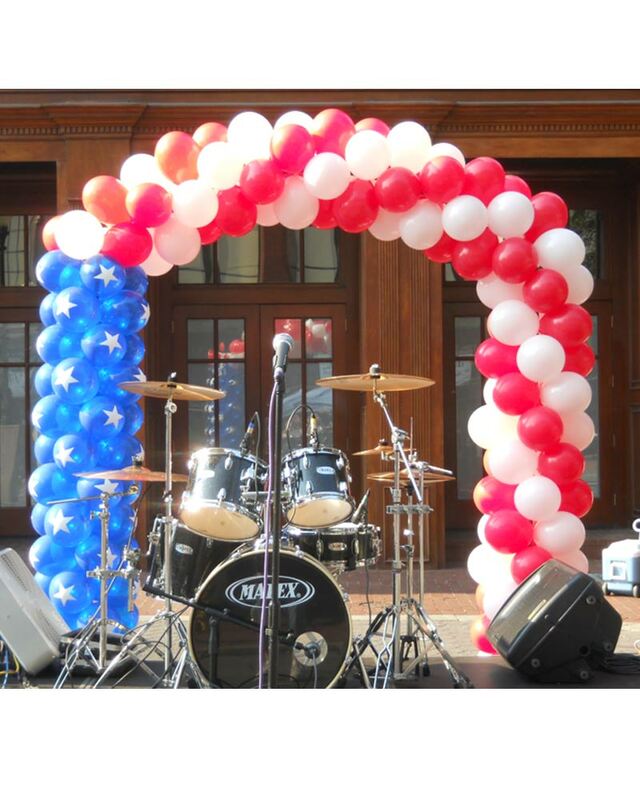 Click the button below to add the American Flag Balloon Arch to your wish list.